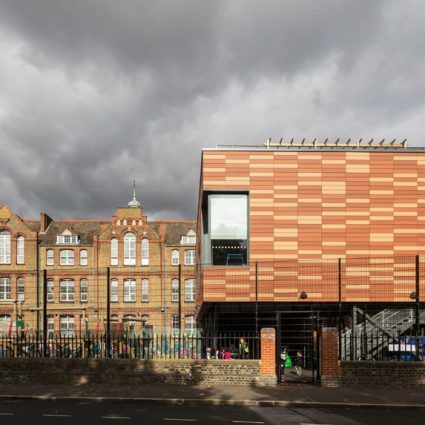 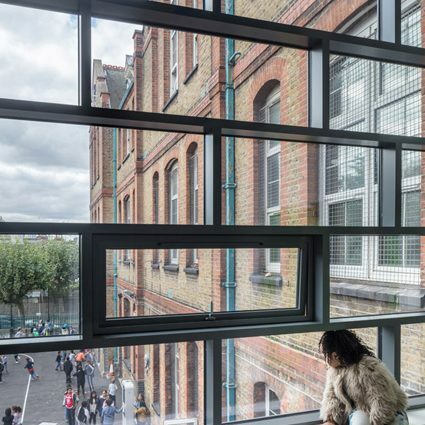 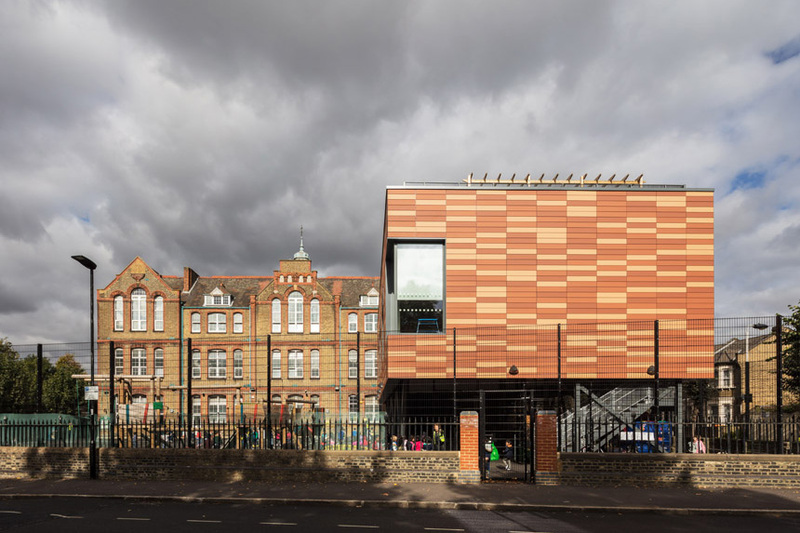 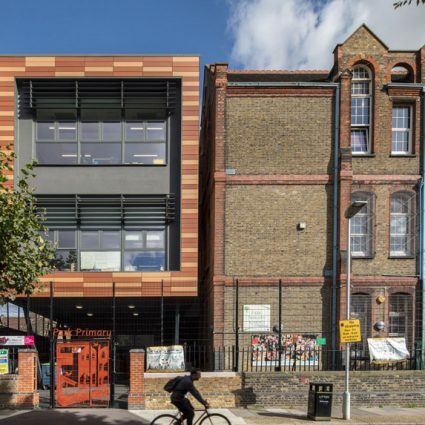 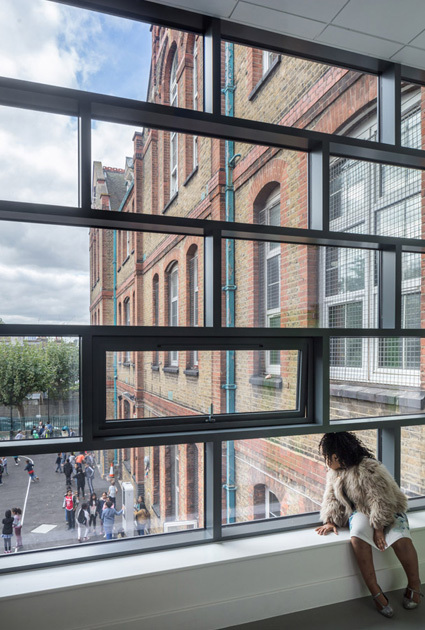 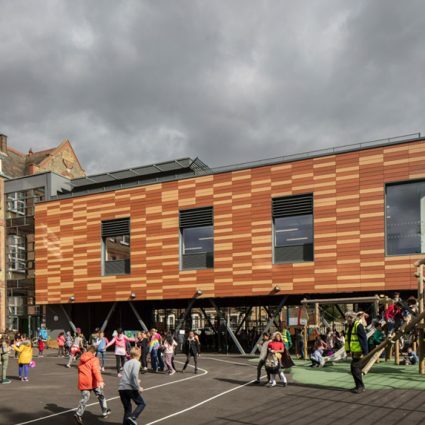 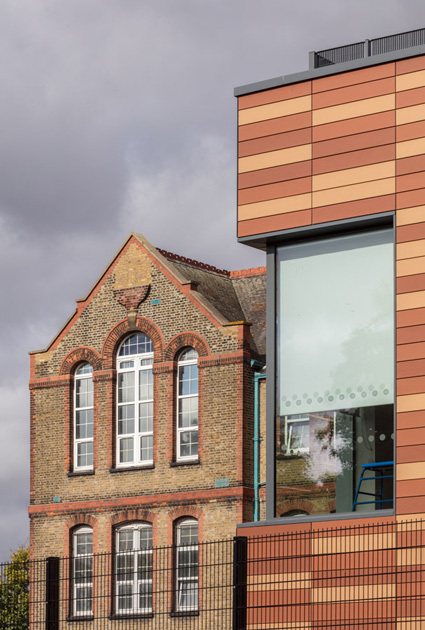 This project expanded Park Primary School in Stratford from 2.5 forms of entry to 3 as part of our directly commissioned portfolio of work for the London Borough of Newham. 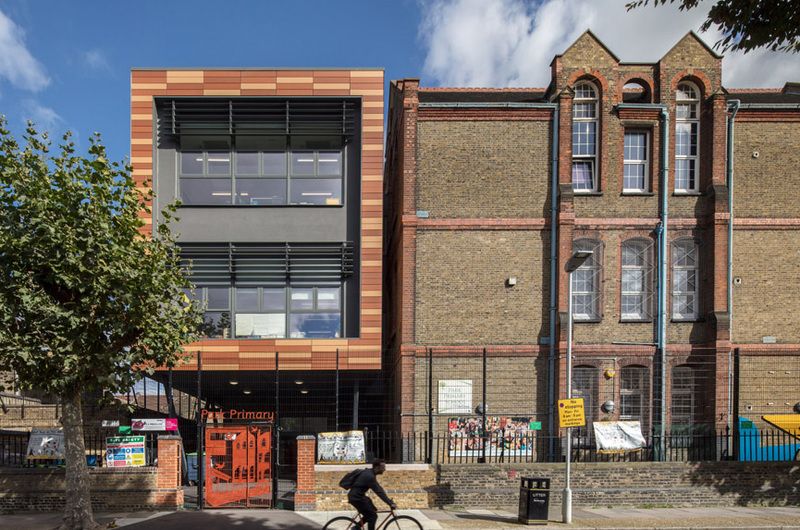 Occupying an extremely compact site but overlooking the 31 hectare West Ham Park, the expansion scheme was carried out in 3 phases. 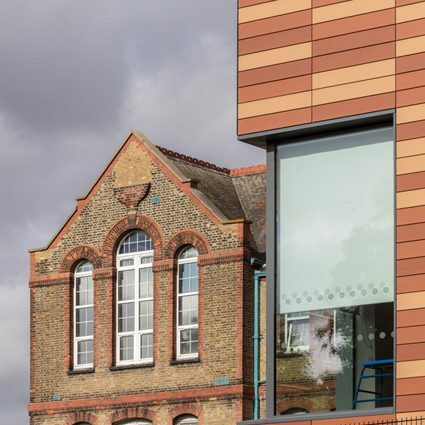 The first phase provided four new classrooms and a new main entrance. 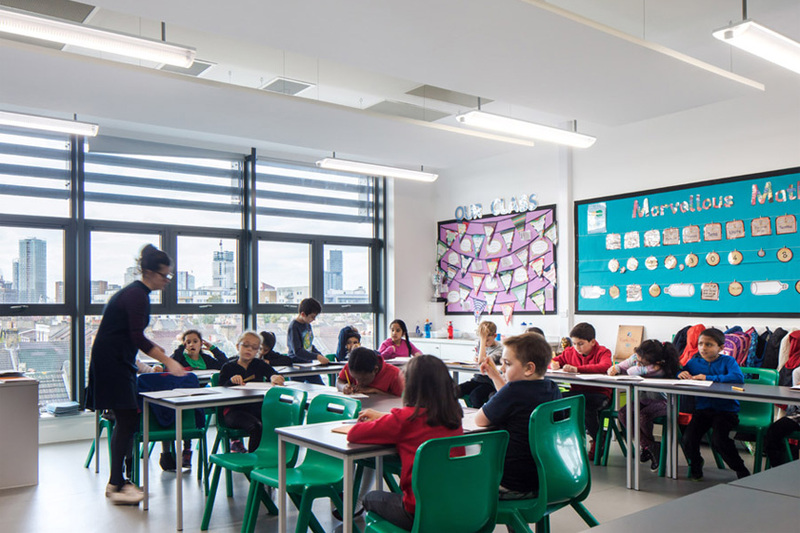 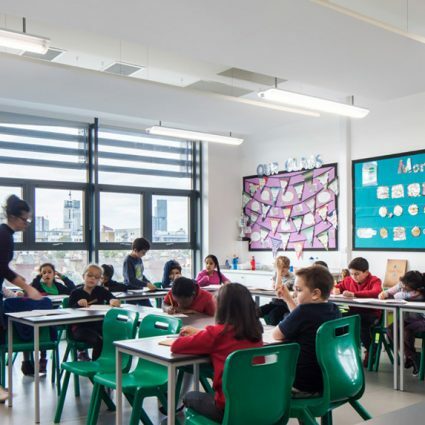 Phase 2 remodeled existing classrooms into WC accommodation and Phase 3 added a new multi-purpose hall raised on angled stilts with a mini MUGA court underneath and a roof terrace focused around a new art room. 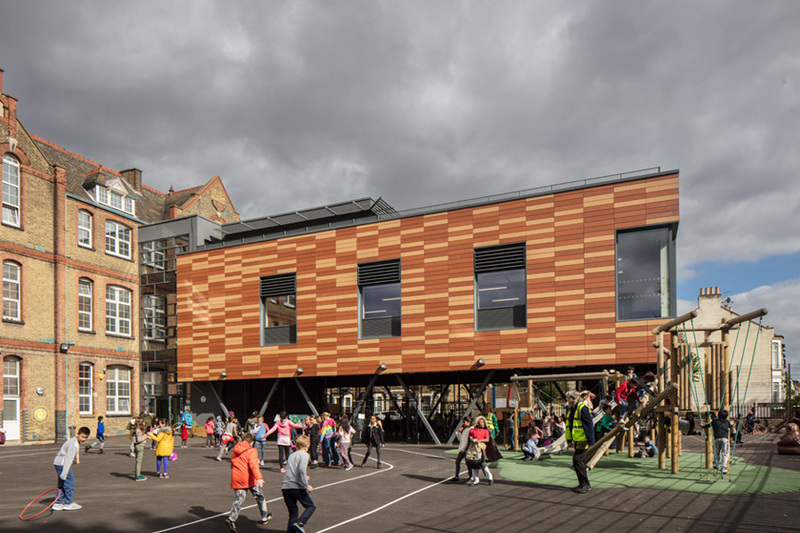 Designed as taut clad blocks with alternating terracotta tiles and large glazed openings, the scheme maximises playground space and provides enhanced physical and visual connectivity to the park.